WAY 1 - I have die-cut the Erin die 4 times, Split 1 in half for the background look. Way 2 - Layer the other 3cuts in the center. Layers give illusion o fdepth and dimension. A Vellum strip was placed over these layers and was adhered between the two framed layers to hold the Get-Well die-cut Sentiment. This was then topped off with adhesive pearls. Way 3 - I have die-cut the Erin die 4 times and snipped the outer loops to create a squared die-cut Background of 4 squares placed side-by-side for this loo. Way 4 - I have also die-cut 2 more for the square behind the top small square panel then topped with smaller square using only the Erin's snipped loops as my loop edges. The "Friend" Sentiment is backed by a Vellum for a softer look against a busy background. Pearls are placed in geometrical parts of background and each panel to continue the look. Way 5 - The Erin die-cus here are off-set on bottom corner and layered for depth. 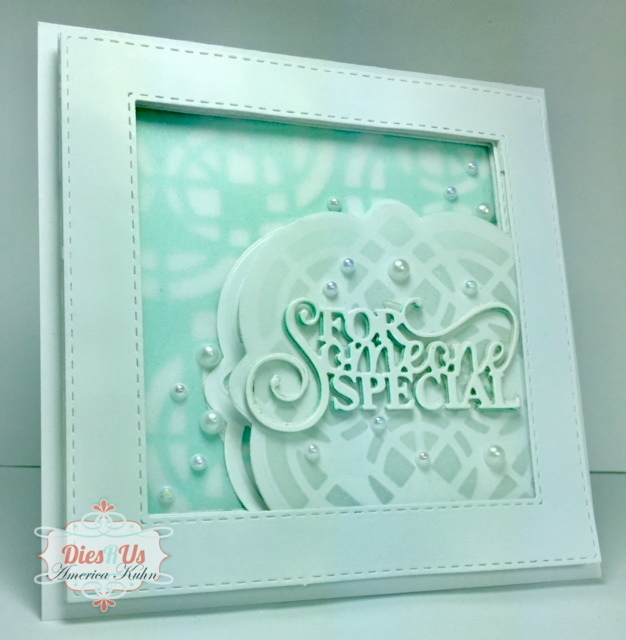 One additional vellum piece was cut with Erin's backing die to top-off the layered look and make sentiment stand out better against another busy background. It was then double-framed with foam adhesive. Way 6 - The Erin die was also used for creating the Backgroumd and itd done by repeating the cuts multiple times! It is topped with Vellum to soften the look. WAY 7 - The Erin Die was used to emboss the background creating a deep impression. It was then topped-off with another Erin die-cut layer for this letter-pressed/impressed look. 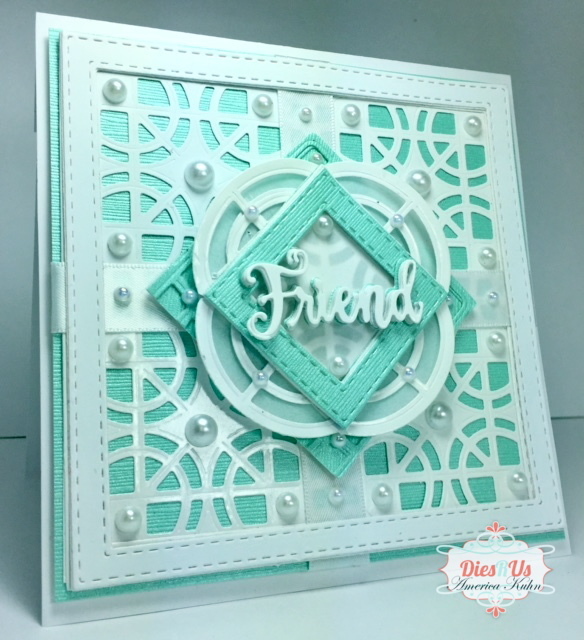 WAY 8 - I have cut another Erin in the same Green Cardstock and snipped the outer loops to use as my matching edges here - continuing the die's look throughout. WAY 9 - The die was used to emboss my entire background panel here. 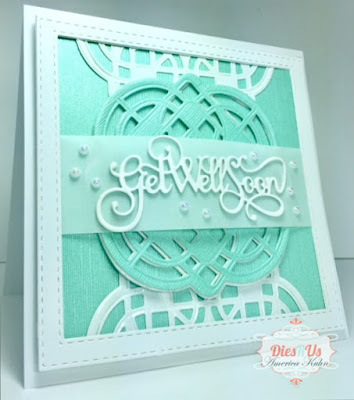 This is done by repeating the embossing process multiple times on the same piece of cardstock cut to size. WAY 10 - I have also gone a little further and created a flower out of Erin's loops that are within the inside of die-cut as my flower petals. Isn't this fun? I've used the same paper and backed each of the petals with vellum then adhered one over the other randomly to create the flower. This was then topped-off with a large pearl. Soooo much fun to do and there are so many ways to use this die! 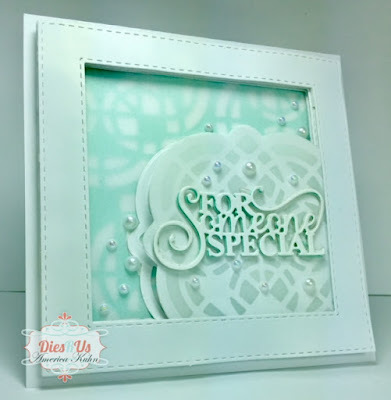 This 5 Card project could easily make a fun little gift-set! THE POSSIBILITIES ARE ENDLESS and this Die is definitely becoming a favorite of mine already! :) Hope you will give some of these ideas a try and that this project has inspired your creativity! :)! 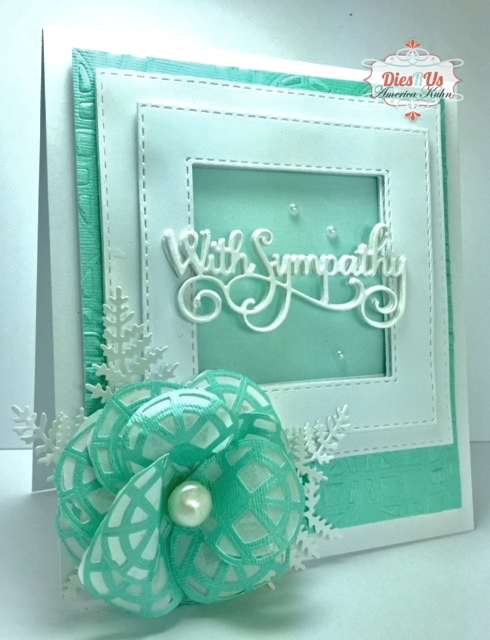 These mini Sentiments are just the perfect size for all your card needs! Gemstones Premium Canvas Textured Pearlescent Cardstock, 110 lb White Cardstock, Vellum Paper and Adhesive Pearls. GORGEOUS!!! WOW and 5 different cards ... AWESOME INSPIRATION! Thanks for all your hard work! Each one is absolutely beautiful!! Your cards are absolutely stunning! Love all the creativity and inspiration!!! Way to rock those cards America!! YEESSS!!!! I love these dies myself!!! thx for the inspiration!!! Outstanding! You totally rocked this die! Love them all! 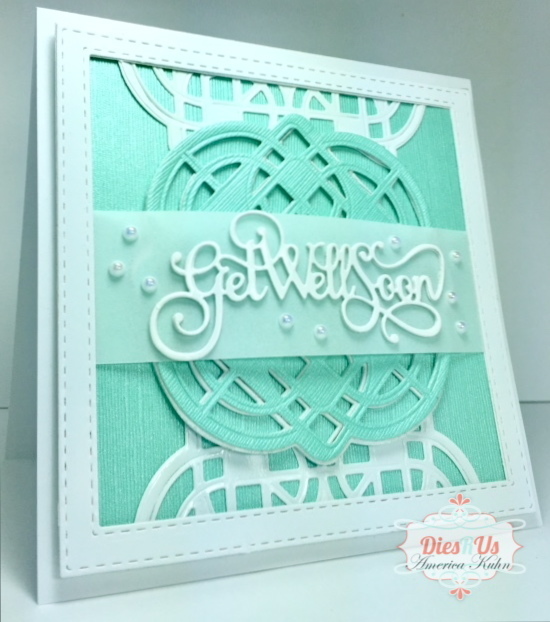 Isn't it lovely when you can use your dies in various ways? Your cards are absolutely beautiful. Thank you for the inspiration!